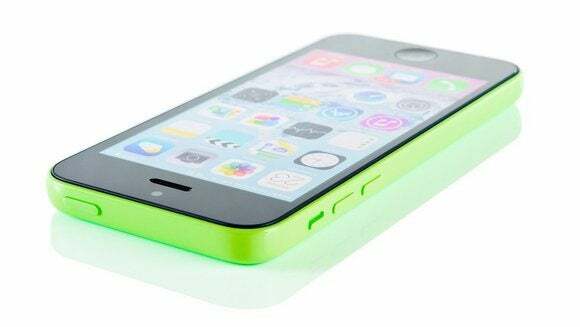 The iPhone 5c at the center of the legal battle between Apple and the FBI might be accessible through a delicate hardware technique, but experts warn it would be difficult. In recent days, the American Civil Liberties Union's technology fellow and former NSA contractor Edward Snowden have suggested a method that would let investigators repeatedly guess the iPhone's password. Federal investigators fear San Bernardino shooter Syed Rizwan Farook may have configured his work phone to use an Apple security feature that erases a key for decrypting data after 10 incorrect guesses of the phone's password. The forensic technique for getting at the data, known as "chip off," involves removing a NAND flash memory chip from a device and copying its data, yielding a decryption key that can be restored if it is erased after incorrect guesses. Instead of trying that procedure, the U.S. Justice Department has asked a federal court to order Apple to give the FBI custom software for iOS 9 that can be loaded onto the phone. The software would either disable the auto-erase feature or allow law enforcement to rapidly try different password guesses. Apple is fighting the order, saying the creation of such software -- essentially a backdoor -- would put millions of iPhones at risk. Investigators already have a lot of data from Farook's online accounts, including backups of the phone stored in Apple's iCloud servers, which the company has turned over. But the last iCloud backup investigators have is from Oct. 19, about six weeks before the Dec. 2 shootings that killed 14 people and injured 22 others. The government contends that the six weeks' worth of data stored solely on the phone could contain crucial evidence. Daniel Kahn Gillmor, a technology fellow with the ACLU's Speech, Privacy and Technology Project, described the technical details involved in a chip-off operation in a Monday blog post. Snowden cited Gillmor's Wednesday post on Twitter and contested the FBI's position via a video link from Moscow at Common Cause's Blueprint for Democracy conference. "There are hardware attacks that have existed since the '90s," he said. The key that is used to encrypt the iPhone's user data is stored in a section of the phone's NAND flash chip that Apple calls "effaceable storage," Gillmor wrote. To perform a chip-off operation, the Flash chip is de-soldered from the circuit board and then connected it to a NAND flash reader in order to copy its contents. The iPhone 5c's NAND Flash chip is outlined in red. The chip is then reconnected to the board. If the key is erased after 10 wrong guesses, the backup data can be used to restore it for more attempts. "If the FBI doesn't have the equipment or expertise to do this, they can hire any one of dozens of data recovery firms that specialize in information extraction from digital devices," wrote Gillmor, who couldn't immediately be reached for comment. But computer forensics experts, including one who has performed the procedure, say it is slow and delicate with no guarantee of success. Most chip-off extractions result in the device being destroyed, said Heather Mahalik, principal forensic scientist and team lead for Oceans Edge, a mobile security and development firm. She teaches an advanced smartphone forensics course at the SANS Institute. "I have done chip off in the past, and getting the phone to work again after is very difficult, so the chances of this working are low," Mahalik said via email. Cindy Murphy, a computer forensics expert with the Madison, Wisconsin, police department, said it's neither easy nor simple to remove and replace flash memory. "To do this once, let alone as many times as would be necessary to brute-force the passcode, would be a feat of patience and perseverance and likely wouldn’t be successful," she wrote via email. If auto-erase is enabled, investigators would have to remove and replace the chip for every 10 wrong guesses. Apple also enforces a delay in between wrong guesses, increasing the amount of time it would take to guess the passcode through brute force. "This would also be an extremely slow and manual process," said Sarah Edwards, a digital forensics analyst who also teaches a SANS course. And if the procedure goes poorly, "then you get zero chances to get the data," she said.